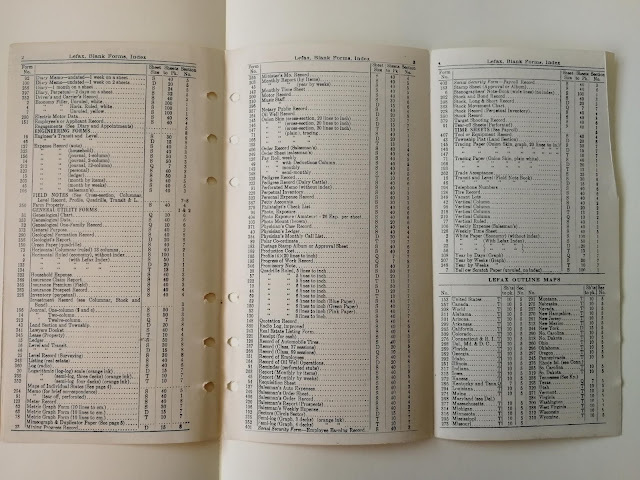 Refill pages for your filofax or other similar ring binder planners, actually cover very few subjects, compared to what was available years ago. 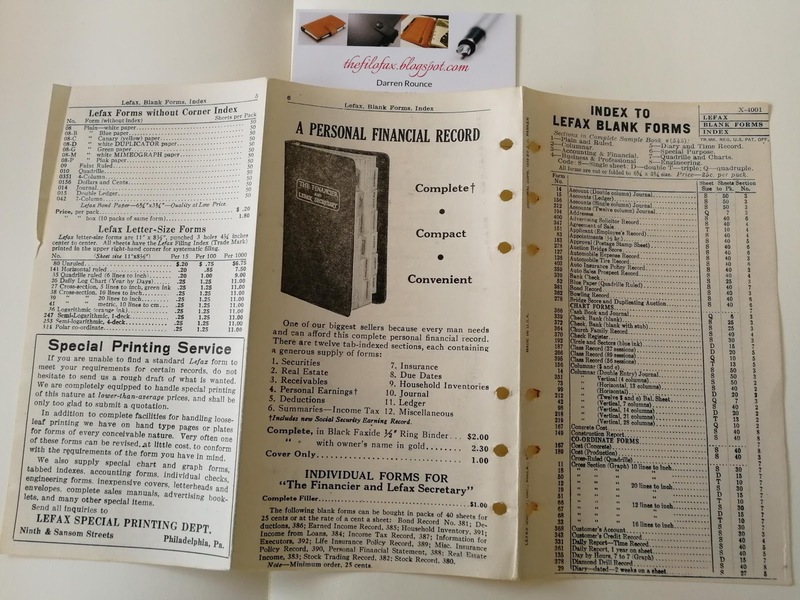 The list of available forms from Lefax in the 1940's to the 1970's was vast to sat the least. The photographs are of a Blank forms index, from Lefax during the 1960's. Blank forms for "Farm Property", "Physician's Ledger", "Music Staff", and "Stock movement chart" to name but a few.